Stand out from the crowd with large format posters and banners. Large format posters, banners and pictures are perfect for your business or as personal gifts or memoirs. Our brilliant, photo-quality printing makes an impact, whether you're running a one-off promotion, opening a brand new retail store, capturing a memory or celebrating. Charisma Copy & Print use the latest in large format printing technology to ensure a professional, quality finish every time with high quality and accurate colour matching, ideal for photographic images. We aim for excellence that surpasses your and are committed to getting the job done within your time-frame. Our free pick-up and delivery service also makes the printing experience simple and stress-free, especially when you're working to a tight deadline. We offer a wide range of paper and canvas stock, and we can print from digital file or hard copy. Get in touch with our friendly team to discuss large format poster and banner options. 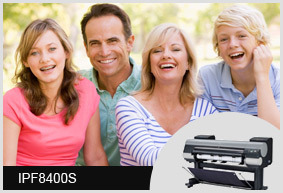 We provide a fast, efficient poster printing service, and most jobs are printed the same day that we receive them. For the best results, your file should be as high resolution as possible with exact paper size. 255 GSM Semi Gloss Poster Paper......... and more!